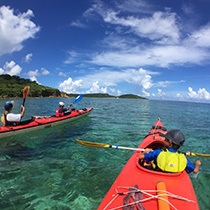 Iriomote Island is a place where you can enjoy a beautiful Shinny Emerald Green Ocean all year round. Most of the island is covered by a Sub tropical juggle and mangrove forests. 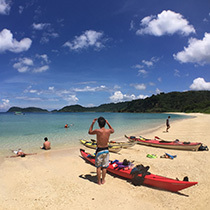 While you are here you can relax on the beach, and take a hiking, kayaking, or snorkeling tour with one of our 「one of our bilingual tour guides」. 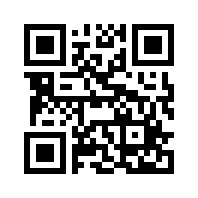 Recommended for beginners & family! 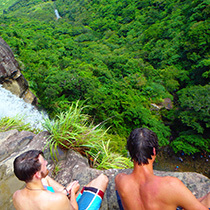 You can enjoy subtropical jungle full day 120% for sure ! 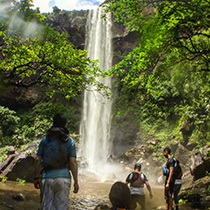 Go to pinaisara waterfall by kayaking, treking, and afternoon canyoning !! 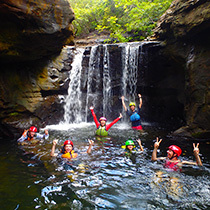 You can enjoy three fun activities jungle and sea. 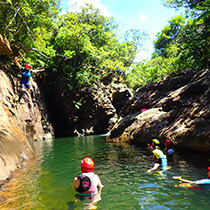 Go to caving & canyoning in the jungle and go to coral Island for snorkeing. You can enjoy three fun activities jungle and sea from kids to adult. 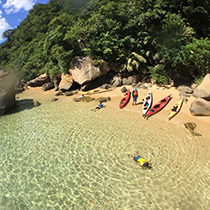 Puddling in emerald green ocean, and sea kayaking. 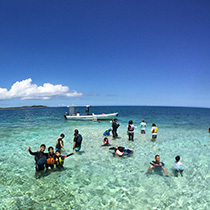 Puddling emerald sea to funauki village. 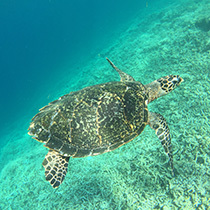 You can enjoy sea kayaking and snorkeling all day. 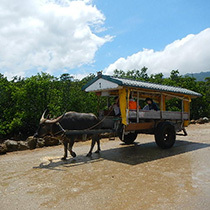 Pinaisara Waterfall Basin & Yubu Island Waterbuffalo Ride set Tour. Going to popular tourist attractions. 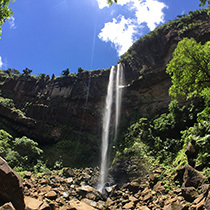 You can work out in the morning with Pinaisara Waterafall Tour, and you can relax sightseeing at Yubu Island in the afternoon. 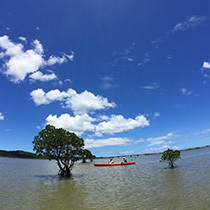 Looking for the best view of Iriomote Island! Go to pinaisara waterfall bashin & top.